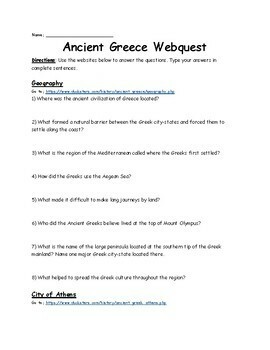 The assignment contains 43 questions about the geography, major cities, early civilizations, decline/fall, and legacy of Ancient Greece. 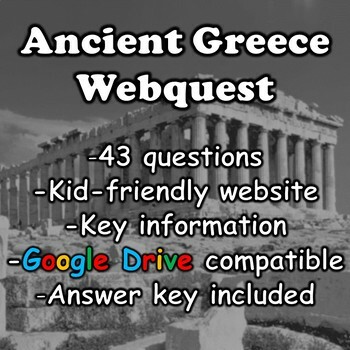 Students will use kid-friendly websites to answer the questions. 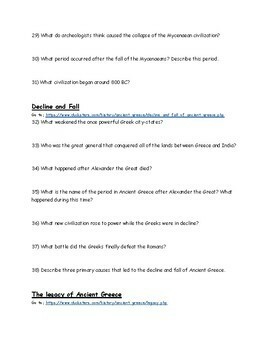 I have included an answer key. Please message me if you have any questions.